Through proprietary interactive technology and unbiased content, MyRatePlan helps consumers make informed purchase decisions about a variety of household services. MyRatePlan.com launched on October 20, 1999. PC Magazine has recognized the site in their Top 100, and it has been recognized by a wide variety of media as a useful resource in helping consumers find "The Right Service at the Right Price." Offers an Interactive PhoneFinder that enables users to virtually assemble their perfect cell phone by selecting desired features, design & price. CellCalc™ is a combination filter and bill analyzer that finds the cell phone rate plan that best meets the needs of the consumer. Both these tools are presented in a convenient matrix format that dynamically updates as selections are made. In addition, the site offers a comprehensive Cell Phone Buying Guide and an incredible wealth of other content. More competitive offerings by traditional telecom providers, as well as services offered by cable companies and Internet phone companies enable consumers to save hundreds of dollars a year in this area. The Consumer Guide to VoIP talks about the pros and cons of Internet phone service, while our comparison engines in home long distance show how to get those costs down to pennies a minute, or even free if bundled in a larger telecom offering. MyRatePlan features a very thorough business phone service section where you can learn about different business phone service options including business VoIP, compare prices and features, and request a custom business phone service quote. 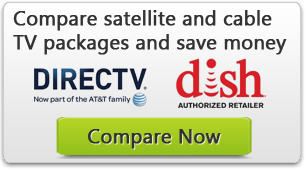 Compare the offerings of DIRECTV and DISH Network side-by-side in the Consumer Guide to Satellite Television. This tool estimates the monthly bill while finding the provider that has the programming options (basic, movies, sports, locals, audio only and HD) that best meet the user's needs. The section also offers a comparison between the two satellite radio providers, XM and Sirius. A comparison tool lets users quickly evaluate over 100 of the most popular credit cards available from major issuers like Capital One, Citi, American Express and Chase. Rewards programs, cash back, 0% intro APR and more are available. The site also features a Credit Card Education Center, including a calculator showing the potential benefit of 0% balance transfer offers. Looking for a discount flight or discount hotel reservation? MyRatePlan links to leading comparison engines for these services. The site also provides a flight tracker, enabling users to follow the progress of any commercial flight in the U.S. in real-time. A variety of content in this area, from calculators to help you calculate loan payments to links that let you check your credit report. You can also find a discount Realtor or apply for a mortgage or refinance an existing one. You can also compare bank accounts and compare mortgage rates. Whether you need a policy, want to change providers, or just ensure you are getting the most coverage for your dollar, filling out one form online and getting multiple quotes from top companies is a very efficient way to shop for insurance. MyRatePlan provides content and links to apply for life, auto, health, homeowners and more. Broadband (high-speed Internet), from DSL and/or cable modem providers is available to most of the country; DSL rates are sometimes cheaper than dial-up, while cable modem offers speeds up to 100x faster. For those not in an area served by the common forms of broadband, internet via satellite can be a useful, if more expensive, alternative.